Before the LG G3 got official, we caught a glimpse of what to expect from it through the Isai FL, a handset that has basically been Japan's version of the flagship. 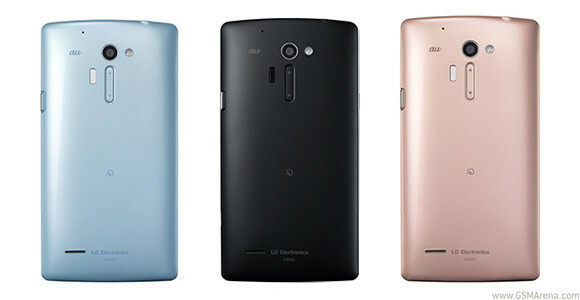 It was the first LG smartphone to come with QHD (2,560x1,440) resolution, for example. And today it's received an ever so slight update. The new model is called LG Isai VL, it's still exclusive to Japanese carrier Au by KDDI, and it very much resembles the Isai FL from earlier this year, even having the exact same dimensions: 145 x 76 x 10.5mm. It is 6g lighter though, coming in at 154g. Compared to its predecessor it does bump up the RAM to 3GB, and features support for Voice-over-LTE (VoLTE) too. Otherwise, though, we're looking at pretty much the same hardware package. Just like the Isai FL, the new Isai VL comes with a 5.5-inch QHD display, a 13 MP rear camera, a 1.3 MP front camera, and a 3,000 mAh battery. It also sports 32GB of internal storage (expandable via microSD), Bluetooth 4.0, NFC, and it's water and dust resistant too. 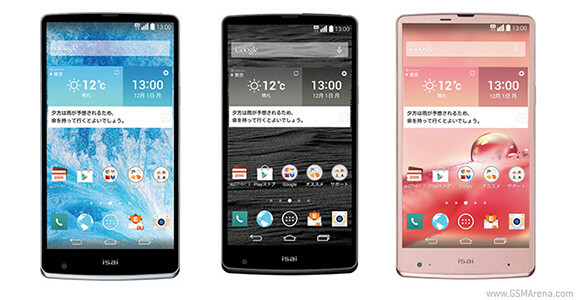 It runs Android 4.4 KitKat and will be available in the three colors you can see above: "aqua", black, and "pink gold".